But scientists at the Max Planck Institute for Solar System Research in Katlenburg-Lindau, Germany, have re-analyzed the images of this giant asteroid obtained by Dawn's framing camera. They assigned colors to different wavelengths of light and, in the process, revealed in unprecedented detail not only geological structures that are invisible to the naked eye, but also landscapes of incomparable beauty. "The key to these images is the seven color filters of the camera system on board the spacecraft," said Andreas Nathues, the framing camera team lead at Max Planck. Since different minerals reflect light of different wavelengths to different degrees, the filters help reveal compositional differences that remain hidden without them. In addition, scientists calibrated the data so that the finest variations in brightness can be seen. "No artist could paint something like that. Only nature can do this," said Martin Hoffman, a member of the framing camera team also at Max Planck. 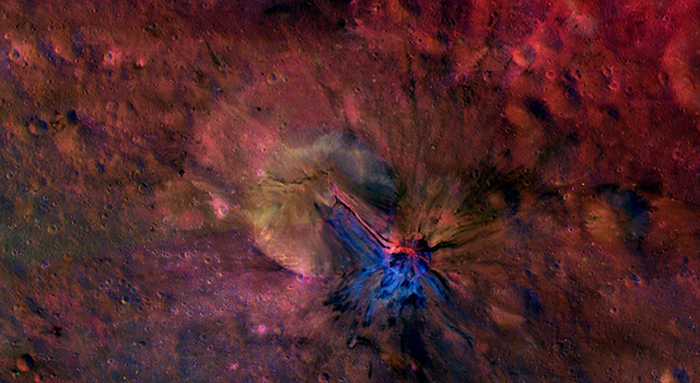 Pictures of the crater Aelia, the crater Antonia and an area near the crater Sextilia show some of Vesta's most impressive sites. The Dawn mission to Vesta and Ceres is managed by NASA's Jet Propulsion Laboratory, a division of the California Institute of Technology in Pasadena, for NASA's Science Mission Directorate, Washington. UCLA is responsible for overall Dawn mission science. The Dawn framing cameras were developed and built under the leadership of the Max Planck Institute for Solar System Research, Katlenburg-Lindau, Germany, with significant contributions by DLR German Aerospace Center, Institute of Planetary Research, Berlin, and in coordination with the Institute of Computer and Communication Network Engineering, Braunschweig. The framing camera project is funded by the Max Planck Society, DLR and NASA. This colorized composite image from NASA's Dawn mission shows the crater Antonia, which lies in the enormous Rheasilvia basin in the southern hemisphere of the giant asteroid Vesta. The area lies around 58 degrees south latitude. Antonia has a diameter of 11 miles (17 kilometers). The image was taken by Dawn's framing camera from September to October 2011. 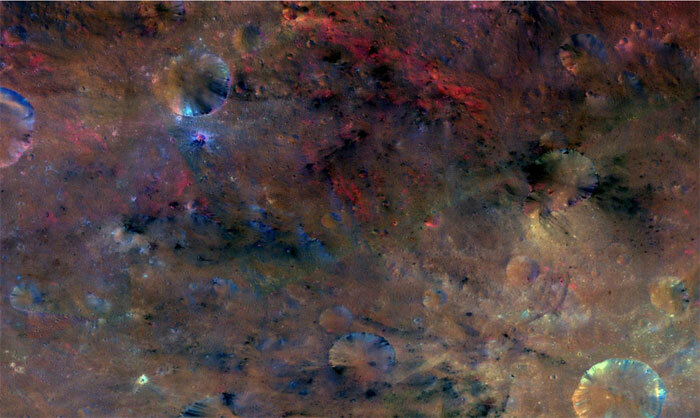 This colorful image from NASA's Dawn mission shows material northwest of the crater Sextilia on the giant asteroid Vesta. Sextilia, located around 30 degrees south latitude, is at the bottom right of this image. 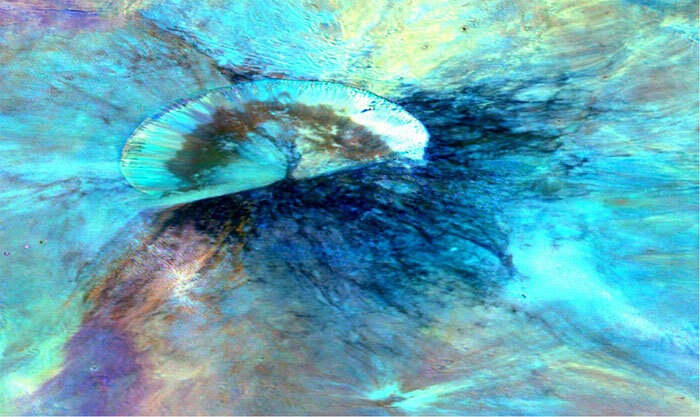 In this image, the entire color spectrum of Vesta becomes visible. While a large asteroid impact probably brought the black material, the red material may have been melted by the impact.